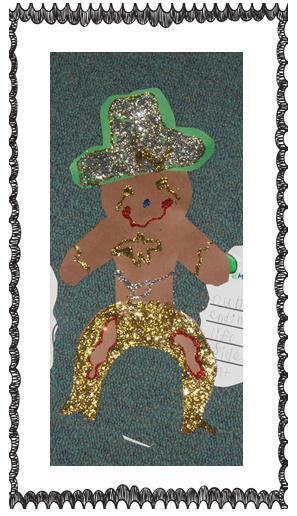 Blog Hoppin': Literacy Freebie, Our Gingerbread Cowboys, and so ready for the vacation! 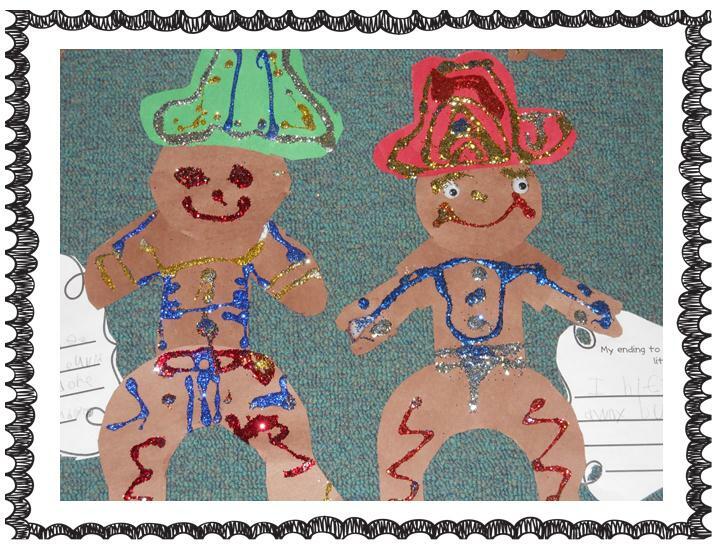 Literacy Freebie, Our Gingerbread Cowboys, and so ready for the vacation! I don't know about you but I feel like my kids are on overload with excitment for Christmas to come. I still have 14 days left! Our district decided to start our winter break December 23rd! Hello? Who's idea was that? I may have to take a day off just to take my daughter on the Polar Express train ride that is 5 hours away!! Oh well, I guess I will have to put up with one more week of classroom management...C-R-A-Z-Y! 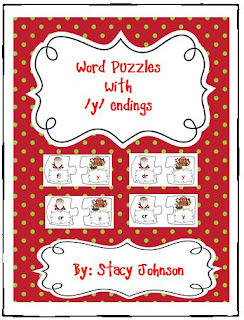 I am still in the holiday spirit of giving so here is another Freebie from my Holiday Literacy Center Unit. I have added this and a few more activities so if you have already purchased it, go back and download again for the new additions. 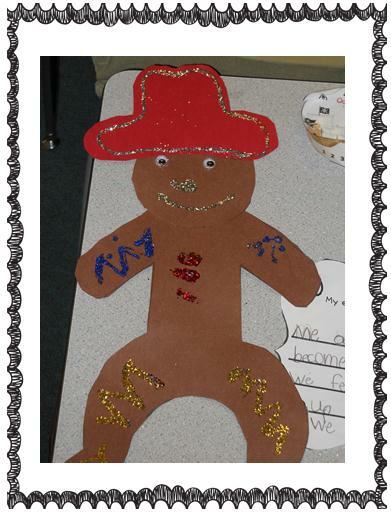 Since we live in Arizona, The Gingerbread Cowboy has always been a favorite of mine and the students! 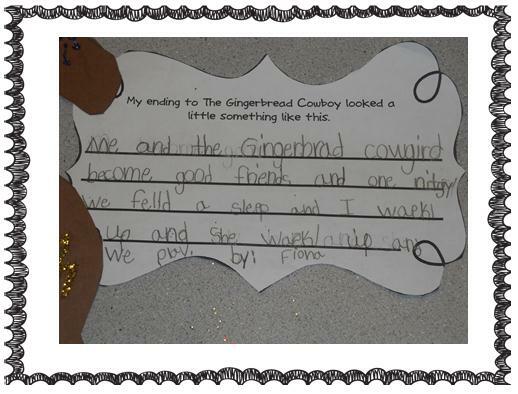 We made Gingerbread Cowboy Glyphs to go with their new ending to the story. Some of them turned out so cute and funny!! This activity is also available in the Literacy Unit. 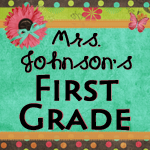 We still have a lot more fun activities to do and I hope it continues to keep my class engaged! I hope your countdown goes smoothly too! I love your bow legs! 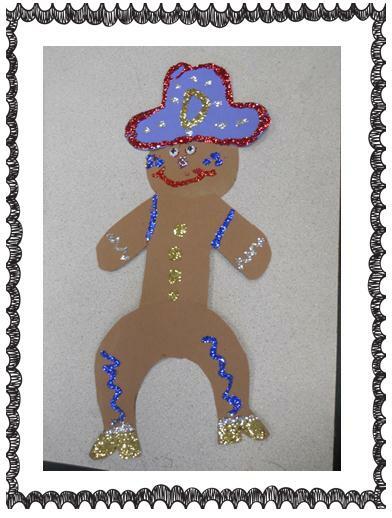 We are doing the jalepeno boy today and I am going to have to do the gingerbread cowboy too! Those are great! I love 'em.